Our puppies are all born and raised in our home, right in the family room. They are raised in a busy atmosphere and learn to watch TV at an early age :-) They interact with all the other dogs (including our large male German Shepherd) and also our house cat. All of our puppies are CKC registered and are sold on non-breeding contracts. They also come with a health guarantee. 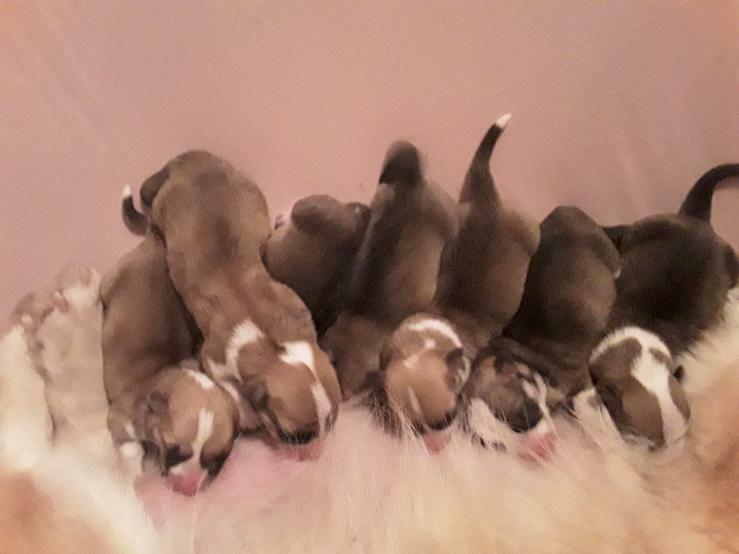 Puppies will receive their first vet visit at 8 weeks at which time they receive their first set of vaccinations, a health check-up and their microchip. Puppies usually go home around the 10-12 week mark. Buyer is responsible to ensure puppy receives 2nd shots (at around 12 weeks) and 3rd shots plus rabies (at around but not earlier than 16 weeks) and also is financially responsible to spay or neuter their Corgi at the appropriate time.